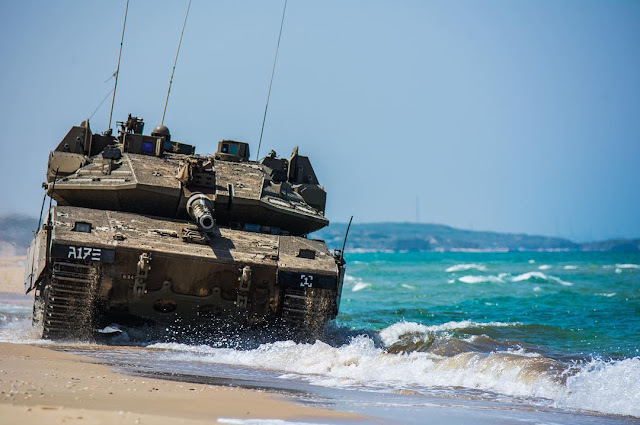 The Israel Defense Force has sent teams to Russia to participate for the second year in a row in the International Army Games which began on Friday, July 27 in Alabino, near Moscow. Teams from Belarus, Syria, Tadjikistan, Iran, Russia and Serbia were slated to take the field on the fourth day of the games for the individual tank biathlon contest in Alabino, near Moscow. Altogether, 189 teams from 32 nations representing Europe, Asia, Africa, Central and Latin America are participating in this year’s competition. Included are 28 contests with tanks, snipers, and various air and sea disciplines. The games are scheduled to conclude on August 11. I'll tell ya what. If we could guarantee the safety of our boys then we should go. If you're worried about security then do what it takes....sanitize them, throw away their phones and give them stuff from WalMart...strip the tank down to bare bones...either get a bunch of new guys just out of Ft Benning or pick some seasoned guys that are squeaky clean...the point is if Israel can go then we should man up and play too. Does it mean a thing? Will I expect us to even finish in the top ten? Nope, that just wouldn't fit the narrative, but we can set the ground so that the public understands the true purpose of our participation. To open up another front of military cooperation with those that we've never worked with before. If the US, Israel and Russia (with Syria and Iran tagging along cause daddy told them to) can work together to deconflict a war zone then certainly we can play nice enough to participate in an international game.